An unspoilt cathedral city on the edge of the rolling South Downs, Winchester is England's ancient capital and former seat of King Alfred the Great. Step back in time and discover the charm and natural beauty of this unique destination. The New Forest is England's newest National Park and was once a royal hunting ground for William the Conqueror. Confirmed as a National Park in 2009, the stunning landscape of the South Downs charms and enriches from Winchester in the west to Eastbourne in East Sussex. You’ll be amazed at all the wonderful places to visit in Hampshire. The county has it all, from stunning coastline and beautiful countryside to the many exciting attractions of Portsmouth, the New Forest and Winchester. Only one hour from London and with excellent transport links, it's the perfect destination for short breaks and family holidays. For fantastic places to visit in Hampshire, the county’s cities are full of fascinating discoveries that will delight the whole family. The maritime city of Southampton is famous for its ocean going liners, popular shopping centres and lively nightlife, as well as for attractions such as the SeaCity Museum and Tudor House and Garden. In Portsmouth you’ll find glorious sea views, bustling Gunwharf Quays shopping centre and many tempting pubs and restaurants. Kids can imagine battling the enemy aboard the mighty ships at Portsmouth Historic Dockyard or firing the big guns from the Royal Armouries at Fort Nelson. Winchester is one of the most attractive places to visit in Hampshire, with its beautiful Cathedral, stunning Great Hall and Queen Eleanor’s medieval garden. Here you can explore the many independent shops and top quality restaurants that the city has to offer, as well as its popular and lively farmers’ market. If you love sea breezes and the smell of fresh, salty air, the coast is one of the best places to visit in Hampshire. The county's coastline extends for miles and miles and is relatively unspoilt, making for relaxing days out. Here you can enjoy water sports, beach fun, cycling, walking and swimming at destinations along the Solent, such as Lepe, Southsea and Hayling Island. From the Roman walls of Portchester Castle, the Spinnaker Tower at Portsmouth and Emsworth’s peaceful harbours, you’ll see some unforgettable coastal views. In the dreamy Test Valley countryside you’ll find chocolate box villages, thatched cottages, meandering chalk streams and cosy country pubs. Explore the antique shops, restaurants and tea shops in Romsey, Stockbridge and Andover or lovely gardens and museums, such as rose-scented Mottisfont Abbey and Sir Harold Hillier Gardens. Test Valley is also home to some of the best fishing in Hampshire because of its clear chalk streams and historic association with dry fly fishing. The tranquil water meadows and clear chalk streams of the Meon Valley will take your breath away. With popular walking routes and pretty villages this area is ideal for taking in the views and escaping from the crowd. In East Hampshire the rolling chalk hills and wooded valleys of the South Downs provide spectacular and uplifting scenery and are ideal for walking, cycling and riding. Nearby you’ll find a wide choice of places to visit, including Jane Austen’s House at Chawton, the Watercress Line at Alton and Gilbert White’s House at Selborne. 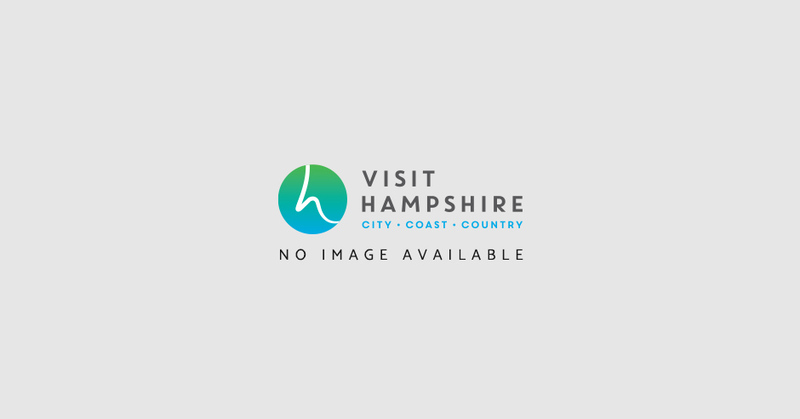 For other places to visit in Hampshire, don’t miss the nature trails and outdoor activities at Queen Elizabeth Country Park, the lovely Alice Holt Forest and the attractive market towns of Alton and Petersfield. To the west of Hampshire, unwind in the historic New Forest, with its miles of ancient woodland, traditional pubs and famous ponies. The New Forest has popular attractions too, such as the National Motor Museum at Beaulieu and the impressive Exbury Gardens. In North Hampshire you can discover fascinating museums and country houses such as Whitchurch Silk Mill and Stratfield Saye House. Basingstoke is well worth a visit for its Festival Place shopping centre, restaurants, leisure centre and lively theatre, The Anvil. Travel back in time at Milestones, a living history museum where costumed actors help bring the streets of old to life. And don’t miss The Vyne, a former Tudor mansion where Jane Austen once danced the night away. The town of Aldershot offers a fascinating insight into military history, as well as modern high street shops and a busy nightlife. Surrounded by beautiful countryside and excellent transport links, Basingstoke has many nearby attractions to suit all tastes. Emsworth, located in the far east of Hampshire, is a picturesque old fishing village nestling on the north end of Chichester harbour, with narrow streets, Georgian houses, walled gardens and a mill pond. The town of Farnborough in north Hampshire is probably best known for its links with aviation and the biennial international airshow. Hundreds of companies exhibit at the show and thousands of people visit. A wonderful location is one of Gosport's main strengths. Its beautiful south facing beaches look out towards the Isle of Wight and the Solent. Hayling Island combines all the attractions of a traditional seaside holiday with excellent sporting and leisure facilities. The ancient market town of Petersfield lies within the South Downs National Park and has twice-weekly markets and a vibrant music and art scene. The River Test flows under Stockbridge high street and you can catch a glimpse of trout, if you are lucky. Founded in 1882, the Houghton Club is the oldest fishing club in England and is based in the town. Situated on the River Test and surrounded by picturesque rolling countryside, Whitchurch is Hampshire’s smallest town. Whitchurch is the Gateway to the North Wessex Downs Area of Outstanding Natural Beauty. Hamble is a haven for yacht lovers, foodies and people who love the outdoors. Learn more about this fascinating village. Renowned internationally for fly fishing, Test Valley's thatched cottages, picturesque villages and welcoming pubs add to the area's charm and there are attractions for all ages. Visit one of Hampshire's rivers or canals for a relaxing walk or cycle along tow paths and river banks that boast rare and exciting flora and fauna. In Southampton, Gosport and Portsmouth you'll find a wealth of literary, artistic and historical attractions and along the coastline there are nature reserves, country parks and activity centres.